Counselling and psychotherapy for adults and couples. Struggling with something? Maybe I can help? 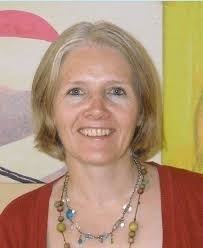 I am a British psychotherapist with over 17 years experience working in Spain with individuals, couples and groups. I am a native English speaker but I am also fluent in Spanish. And as an Expat I am familiar with and have worked with many Expats adjusting to a new life abroad. In addition I have many years of professional training. I have a psychology degree convalidated by the Spanish Ministry of Education and more than 500 hours of postgraduate training so I am accredited with the Colegio de Psicologos (M18071) and work in a registered health centre No CS12240. 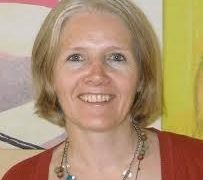 Having also done part of my training in the UK, I have UKCP (United Kingdom of Council of Psychotherapy) accreditation and EAP (European Association of Psychotherapy) accreditation as an Integrative therapist. This means I have been trained in and can draw from several different schools of therapy in my work (namely psychodynamic, existential, cognitive behavioural therapy). In addition I have a Masters in Cognitive Behavioural Therapy and a Diploma in couples therapy, and a Diploma in Clinical Hypnosis . And I have done and will continue to do additional courses over the years as I believe in continual professional and personal development as a necessary part of being able to offer a safe and effective service. I believe that in order to be an effective therapist it is important that I do what I ask of my clients, which is to continually reflect on themselves in order to grow and evolve.